The Center of Excellence in Wireless and Information Technology (CEWIT) hosted its third annual Hack@CEWIT event — an on-campus hackathon bringing more than 150 students, various tech-talks and workshops, and thousands of dollars in industry sponsorship commitments and prizes. 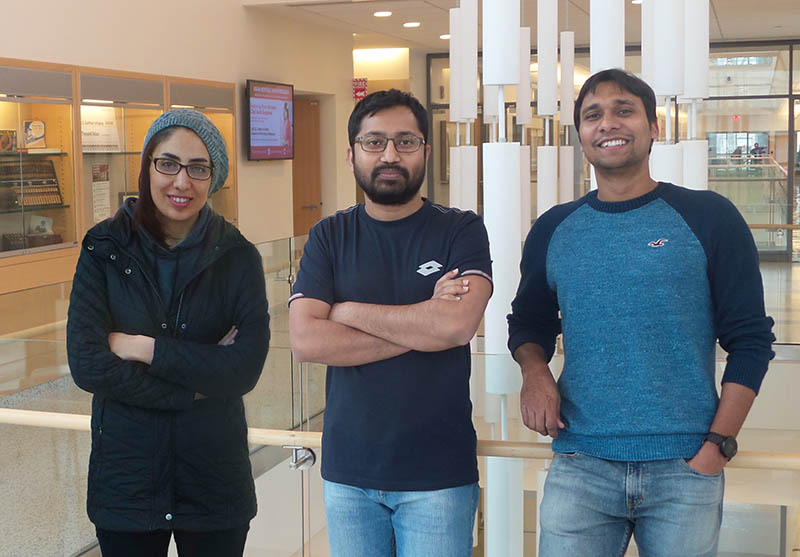 The event was held in February, followed by the Women in Computer Science (WiCS) fourth annual HackHealth event in March. Nearly 200 student hackers competed in this year’s Hack@CEWIT. From TwitterBots to actual robots to websites, students were not only able to challenge themselves to create something new, but also learn something new throughout Hack@CEWIT. Awards were given for different categories from Top Tier: Best in Show, awarded to United Sensors of America, to Most Ambitious: A for Effort, awarded to HoneyPot. 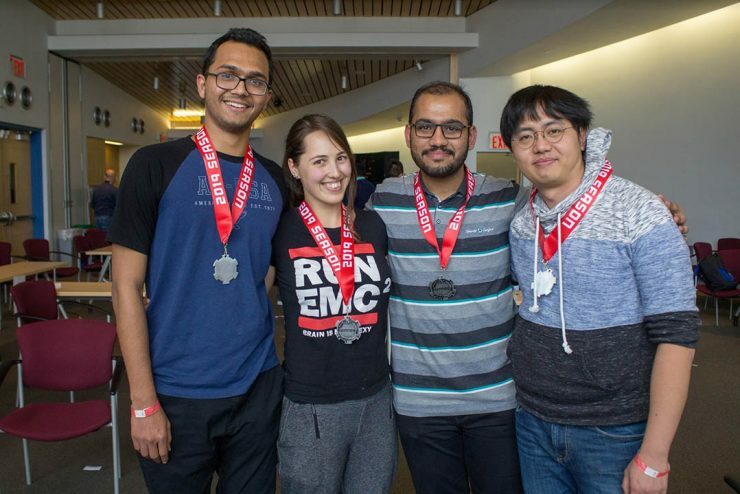 Softheon and Major League Hacking, two of the event sponsors, chose winners including teams Effortless, SwipeMe, Roombalistics, CampNav, and more. HackHealth, hosted by WiCS, was devoted to being minority- and beginner-friendly. 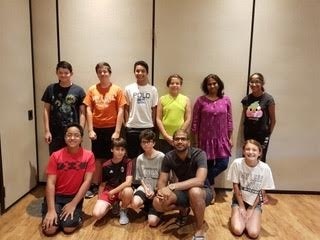 A one-week bootcamp was held before the HackHealth event, giving all students the opportunity to discover machine learning, Android Studio, and more. 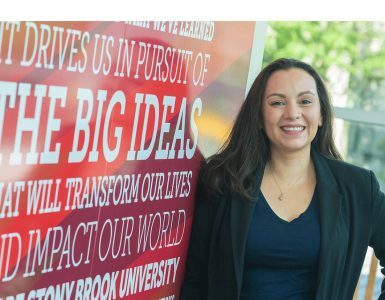 Associate Professor Anita Wasilewska also shared her insight on what it’s like to be a woman in the tech world. HackHealth provided a comfortable environment for everyone to develop their ideas and improve their skills. Awards were given out for Best Mental Health Hack, Best Nutrition Hack, Best Fitness Hack, and Best Medicine Hack. Winners included a team that used artificial intelligence to diagnose and treat mental illness, one that created a way check nutrition as you shop, and another that developed an interactive map to help travelers determine health risks in different areas around the world. 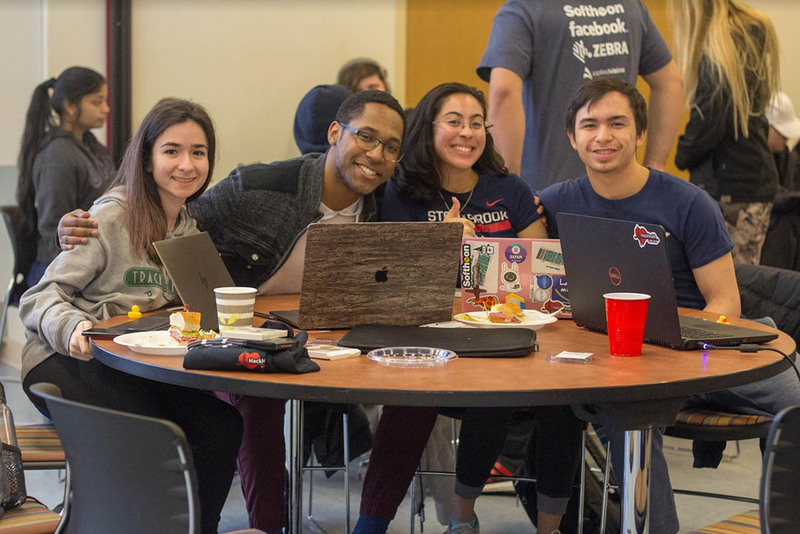 Both hackathons were fortunate to have the support of several industry sponsors, including IBM, Softheon, Google, facebook, Zebra, ApppliedVisions, Twilio, Nutanix, Sticker Giant, and The Recurse Center. 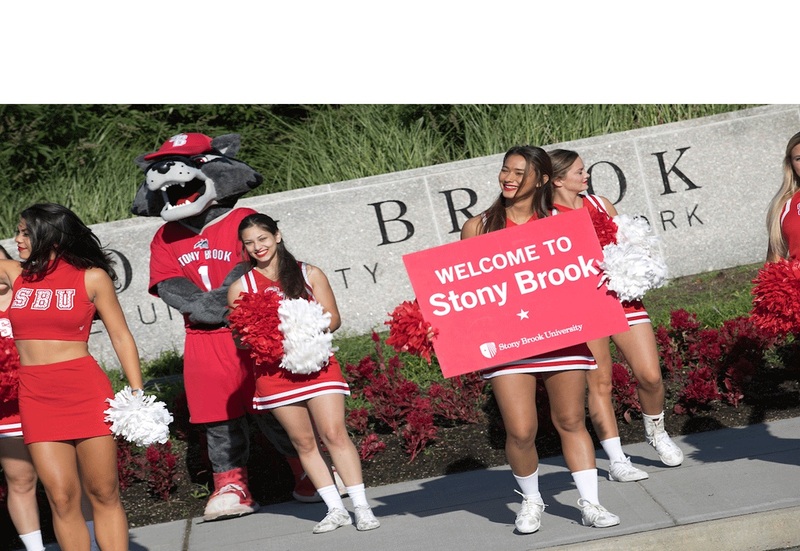 At each event a number of Stony Brook Computer Science students took home top prizes. Look for both of these hackathons to take place again next spring semester.